A continued Indian-backed blockade of supplies to Nepal, a small landlocked country wedged between India and China, has escalated tensions between Kathmandu and New Delhi. India denies any involvement in the blockade, maintained since last September, insisting that it is a result of agitation by Madhesi parties from Nepal’s flat southern Madhesh region for amendments to Nepal’s constitution, adopted in August. The United Democratic Madhesi Front (UDMF) has conducted a protest campaign demanding that Madhesh (or Terai) be given greater representation in parliament. Nepali police have killed at least 55 people since September in suppressing the Madhesi protests. On January 21, police shot down three protesters who allegedly tried to disrupt a CPN-UML meeting in Terai that Oli was to address. Due to the blockade, essential supplies such as fuel have been substantially limited, severely affecting hospitals, transport and power generation. Many schools have closed down due to lack of transport. India is tacitly supporting the Madhesi demands, encouraging their agitation and asking the Kathmandu ruling elite to amend the constitution to address the “legitimate aspirations” of all sections of the country’s population. Under immense pressure from India, the Nepali government agreed to three basic Madhesi demands for a re-demarcation of provinces, the fixing of electoral constituencies on the basis of population and proportional representation. Parliament passed those amendments last week but Madhesi parties rejected them, saying they had loopholes that Kathmandu could manipulate. The Madhesi parties, which represent the regional elite, are pressing for greater privileges, backed by New Delhi’s continued insistence on “suitable amendments” to the constitution. The Nepali government’s conflicting signals regarding what would be Oli’s first overseas visit expresses a political crisis exacerbated by India’s intervention, which has been encouraged by the US. New Delhi’s concern is not to uphold the democratic rights of Madhesi people but to firmly establish its geo-political foothold over Nepal. India’s government is using the communal politics of the Madhesi parties to scuttle China’s growing influence in the country. Sections of the Indian ruling elite have expressed concerns that the government has not intervened “fast enough” in Nepal and is now pushing it more toward China. On December 29, India’s parliamentary standing committee on external affairs questioned foreign secretary Subrahmanyam Jaishankar about the government’s policy in Nepal. Kathmandu signed an agreement with a Chinese company in October to import petroleum, even though delivering supplies from China is difficult through the mountainous terrain. The agreement demonstrated that Kathmandu was seeking to counter New Delhi’s pressure and that China was taking the opportunity to bolster its relations. 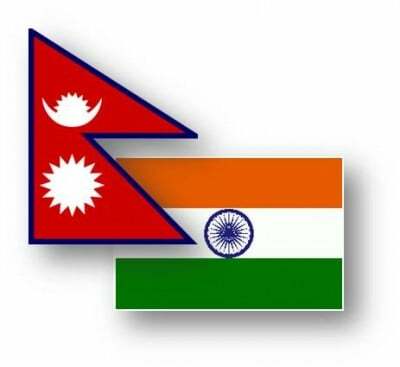 At issue is not just India’s drive to incorporate Nepal into its perceived South Asian sphere of influence. Washington, which has embarked on aggressive military encirclement of China, has a strategic partnership with India. Both India and the US consider Nepal to be a critically-situated underbelly of China, a base from which to undermine Beijing. China is taking steps to counter this line-up. The Chinese ambassador to Nepal, Wu Chuntai, called on Oli on the same day last December that Oli announced India’s invitation. Wu extended a counter-invitation to visit Beijing. In 2014, China overtook India as Nepal’s largest foreign investor. A report by Nepal’s Department of Industry said Chinese investments reached $174 million between July and December 2014, accounting for over 60 percent of the total foreign direct investment committed. This was a three-fold rise from the $55 million investment in the corresponding months of 2011, when India was the biggest source of investment in Nepal. The Nepal crisis is another expression of the aggressive US moves against China, and the harnessing of India as Washington’s partner. This drive is deepening geo-political tensions and increasing political instability throughout South Asia, including in mountainous Nepal.